Could Kelly Rowland Have Been Talking About This Guy in Her New Song?? Posted on May 17, 2013 by M.E. Cuda Love can be seen in the picture above in the middle of Ma$e and Camron. 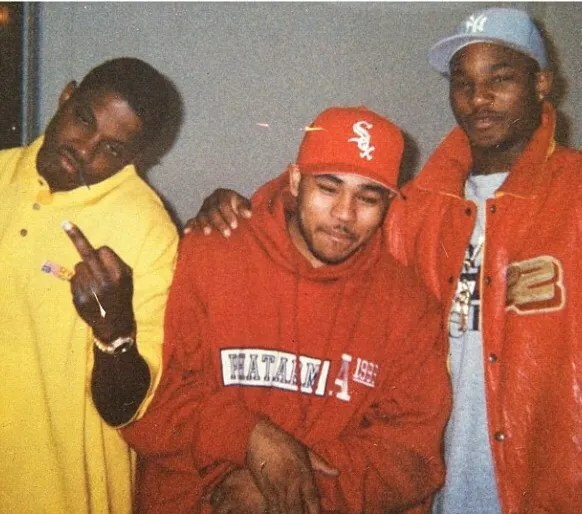 Cuda Love use to manage both Ma$e and Camron back in the day. Posted on May 16, 2013 by M.E. Elijah Blake releases his new video for “X.O.X.” off his EP Bijoux 22. The singer-songwriter, who has written for Rihanna, Keyshia Cole, and Usher. The singer-songwriter is gearing up for his Def Jam debut later this year. Wale unveiled the artwork for his anticipated new album, The Gifted which hits stores on June 25. The MMG rapper illustrates the different aspects that make up his life including his hometown of D.C., money, women, and faith. The cover was designed by tattoo artist Mister Cartoon. The album’s first single “Bad” featuring Tiara Thomas is currently No. 25 on the Billboard Hot 100 and the follow-up “LoveHate Thing” premieres on Monday, 5/20/13. Posted on May 15, 2013 by M.E. Kelly Rowland has released the biographical single, “Dirty Laundy” from her upcoming Talk A Good Game album. On the track, she reveals her abusive past and that she was envious of Beyonce. Solange is following in the footsteps of her father and now has now launched her own label, Saint Records. “Super stoked to announce I’ve started my own label,SAINT RECORDS,where I’ll be releasing my music & other projects distributed through SONY!” tweeted the 26-year-old singer. The new deal gives her complete creative freedom. “Through Saint Records I will have 100% creative/artistic control & continue to passionately pursue my footing in this new musical movement,” explained Solange, who is managed by Roc Nation. Posted on May 14, 2013 by M.E. There have been so many tragic instances of hostile individuals taking advantage of proud Americans who gather to celebrate and enjoy one another. From the mass shooting during the screening of The Dark Night Rises in Colorado, to the Boston Marathon shooting, and now this- a shooting on the day designated for celebrating the women who gave us all life. 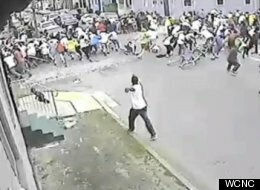 New Orleans police hope a $10,000 reward and blurry surveillance camera images will lead to arrests in a Mother’s Day shooting that wounded 19 people and showed again how far the city has to go to shake a persistent culture of violence that belies the city’s festive image. Angry residents said gun violence – which has flared at two other city celebrations this year – goes hand-in-hand with the city’s other deeply rooted problems such as poverty and urban blight. The investigators tasked with solving Sunday’s shooting work within an agency that’s had its own troubles rebounding from years of corruption while trying to halt violent crime. Police said there may have been as many as three gunmen. The suspects escaped despite the presence of officers who were interspersed through the crowd as part of routine precautions for such an event. New research finds a link between early baldness and cancer of the male reproductive gland known as the prostate. The study involved African-American men, a group at particularly high risk of prostate cancer. Previous studies have looked at the link between baldness and prostate cancer, but Zeigler-Johnson says this is the first to focus on African-American men, whose prostate cancer death rate is two and a half times that of white American men. In the study, Zeigler-Johnson and her colleagues asked about 300 prostate cancer patients and some 200 non-patients about their baldness history. They then compared the type of baldness and the age when the men started losing hair with their medical histories.. The study by Charnita Zeigler-Johnson and her colleagues is published in the journal Cancer Epidemiology, Biomarkers & Prevention.